The 85th annual Academy Awards have come to past and Ellen Degeneres, on her 2nd go as host did a good job in moving the long ceremony (clocking in at a final run time of 3 1/2 hours) along. The Academy spread the love all around everyone getting a little piece of the pie. Gravity won 7 awards including Best Director for Alfonso Cuaron. 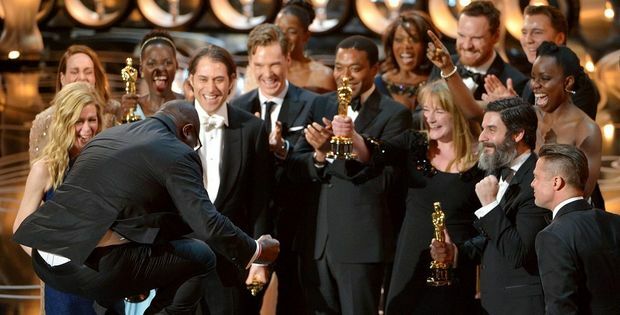 12 Years A Slave received 3 awards including the biggest prize of the night, Best Picture. There were so many other great moments at the awards from Lupita Nyong’o winning and giving that amazing acceptance speech to the selfie that broke Twitter and John Travolta having a stroke and completely butchering Idina Menzel’s name. You can find all of those moments on Indiewire and TVline. See the full list of winners below. Hi Bernice! It’s Jean. Nice blog!